HMD Global is said to be working on a completely new Nokia phone dubbed as the Nokia X6. 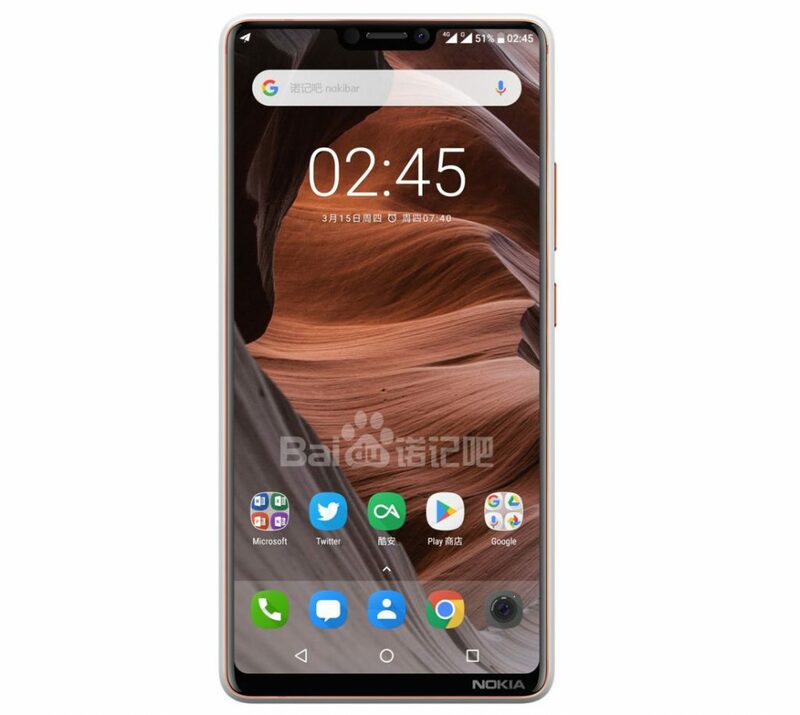 Today, new reports from China have revealed that the company will introduce the Nokia X6 smartphone in China on April 27. The report hints that the smartphone might come with a notch design and 19:9 aspect ratio display and dual rear cameras as highlight features. Earlier this week, it was reported that HMD Global will introduce the Nokia X series smartphones in China. Today’s report on Weibo confirms that the phone will be dubbed as the Nokia X6. Going by the leaked renders, the back of the phone looks similar to the Nokia 7 Plus with its vertical dual rear camera setup. The phone is said to be come in two variants – one with Snapdragon 636 SoC with 6GB RAM and another with MediaTek Helio P60 SoC with 4GB RAM. The phone is expected to sport a 5.8-inch (2280 × 1080 pixels) Full HD+ 19:9 aspect ratio display with a notch on top. The Hybrid Dual SIM (Nano + Nano/microSD) phone will run Android 8.1 Oreo out of the box. The phone is powered by a 1.8GHz Octa-Core Snapdragon 636 SoC with Adreno 509 GPU or by an Octa-Core MediaTek Helio P60 processor with ARM Mali-G72 MP3 GPU. Memory wise, it will pack 4GB RAM with 64GB internal storage or 6GB RAM with 128GB internal storage. The storage is expandable up to 256GB with microSD. Camera department on the phone is handled by a dual camera setup at the back. It has a 12MP rear camera and 13 MP secondary camera with ZEISS optics and dual-tone LED flash. Up front, there is an 8MP front-facing camera with ZEISS optics. There is a Fingerprint sensor below camera module. Connectivity options on the device include 4G VoLTE, WiFi 802.11 ac, Bluetooth 4.2, GPS + GLONASS, 3.5 mm headphone jack and USB Type-C. The phone is powered by a 3,500mAh battery that comes with fast charging support. The rumored starting price of the Nokia X6 is 1599 yuan (Rs. 16,839 approx.) for the 4GB RAM + 64GB storage MediaTek Helio P60 version. While the 6GB RAM with 128GB storage Snapdragon 636 version is rumored to be priced at 1799 yuan (Rs. 18,946 approx.). The phone is launching in China on Friday, April 27.